Let's Farmer make use data and insights to make better decisions. 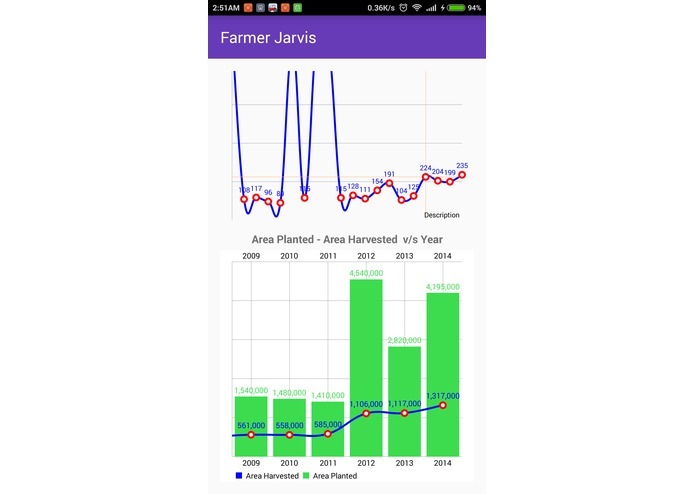 Farmer Jarvis is sentinel being ( ;-) ) who live in the world of BlueMix. 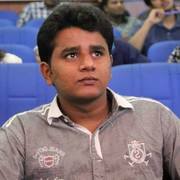 It is very power full with weapons like IBM Watson, Apache Spark, Insights for Weather etc etc. 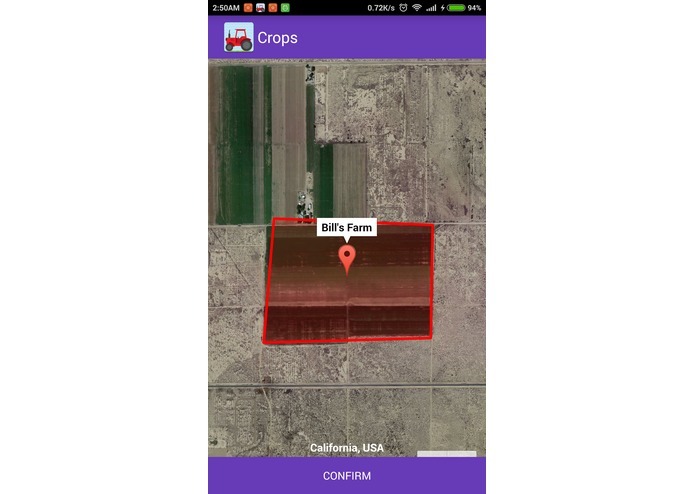 It uses freely provided agricultural data from United States Department of Agriculture National Agricultural Statistics Service (link), historical weather information processed using Analytics for Apache Spark, Weather insights from Insights for Weather by IBM, demand and supply data from USDA-NASS. 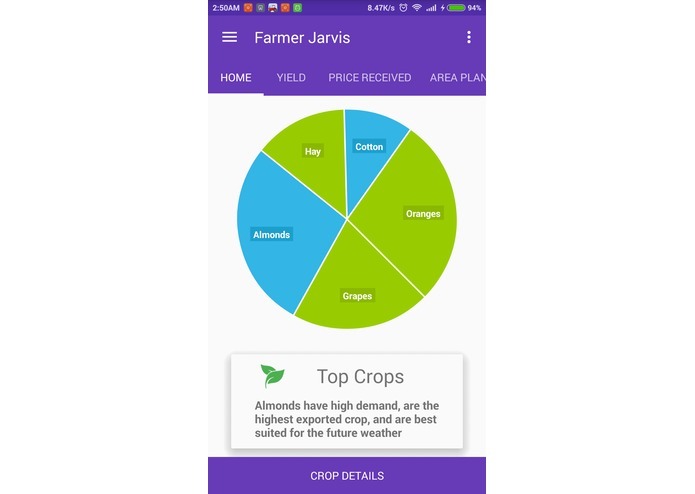 It receives the farm location from the farmer and analyzes the historical data about that area correlates that with the weather and demand prediction and suggest a farmer the Top Five Crops which he can cultivate on his farm in a easy to understand way. It even shows him the historical of that crop in beautiful graphs. 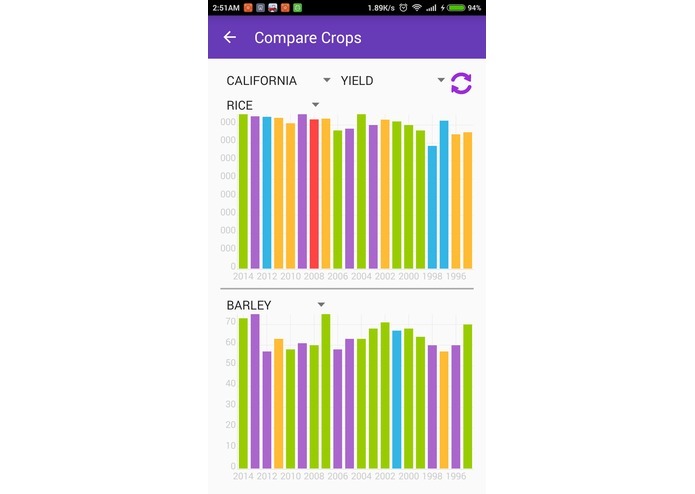 It lets the farmer compare two crops to make much better and informed decisions. The app is built on Android it uses google maps to let the farmer mark the farms location and it used to display the results. On the backend it uses IBM Bluemix, for analytics on weather it uses Apache Spark service and Insight for weather service and it uses Tradeoff analytics to suggest the best crop suited for the farm while maxmizing the profits. Designing the algorithm and parameters to decide the best crop for a particular farm land. Cleaning and sanitizing the data to be used. 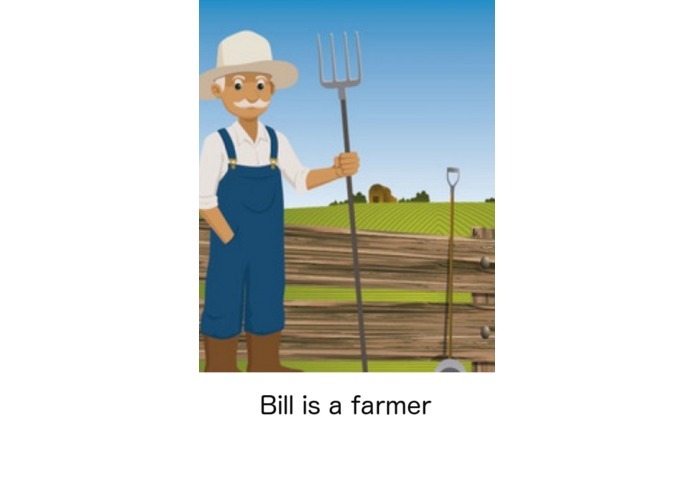 Making a Functional app which can be used by farmers. 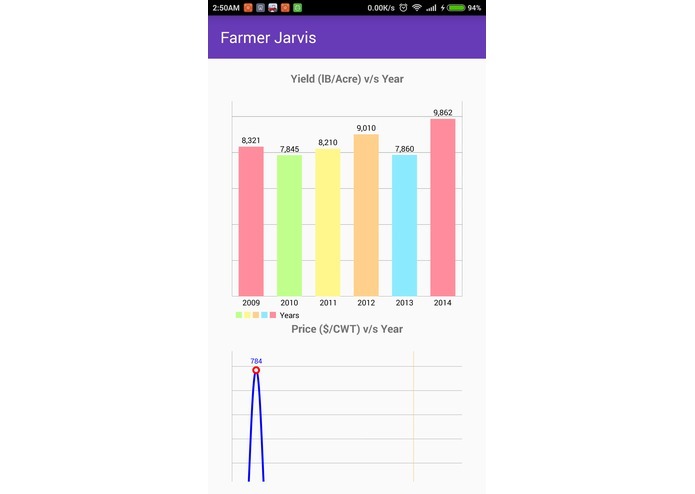 I plan to release the app on the playstore and if I win or if IBM sponsor the hosting I will make it free app for farmers to use and take insight full decisions.